Fortis and Manipal in for a merger?? Times of India has reported that talks are currently on the way, between the global investor TPG Capital as well as Fortis healthcare and Manipal Health enterprises for a possible consolidation. While people directly familiar with the matter informed about the same to the daily, on the condition of anonymity, the official spokesperson of TPG said, “We follow a strict disclosure policy and hence are unable to confirm or deny these suggestions,” said a TPG spokesperson. Medical Dialogues team had earlier reported that the Singh Brothers were in talks with TPG Capital, one of the largest private equity investment firms in the world for the for a 26% primary stake in Fortis Healthcare. TPG had offered Rs 3000 crore for the said deal, sources had informed then. At the same time, it is reported that TPG currently owns 22% stake in the privately held Manipal and is looking forward to expand its share with one of other private equity investor, True North (formerly India Value Fund) wanting to offload its 18% stake in Manipal. 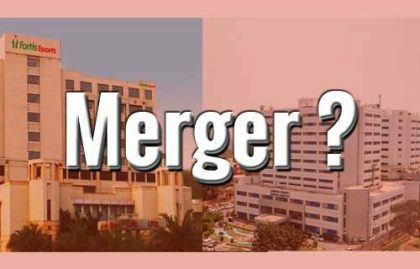 Further with the increase in stake in both, TPG is now looking forward to eventual merger of the two to create one of the largest hospital networks in the country. Sources aware of the developments were seen cautioning the daily that consolidation talks are still in early stages, and may not lead to any transaction. The major hurdle in the deal comes due to the fact that Japanese pharma giant Daiichi Sankyo has taken the Singh Brothers to court, to block them from selling their stake in Fortis Healthcare. What Happens if the deal goes through? 1 comment(s) on Fortis and Manipal in for a merger?? If the merger can fill in the gaps of advanced HANDS ON TRAINING to the super specialists of India as well as make these advancements in surgical techniques awailable to the under priviledged masses of the country.